hello everyone! Hope you’re having a good Thursday – it’s a COLD one here! Below 20 degrees made for a definite pit stop for a hot Holiday Blend at Starbucks post spin class. With Christmas around the corner, I bet you’ve seen a bunch of Holiday flavored everything & I can’t help but get inspired by all of the flavors. I remember growing up & looking forward to egg nog at my Aunt’s house during the Holiday’s. To me it tasted like a milkshake & I loved it as a kid. Whenever I came across the So Delicious coconut milk Egg Nog in Whole Foods – I couldn’t pass it up! It definitely didn’t disappoint. 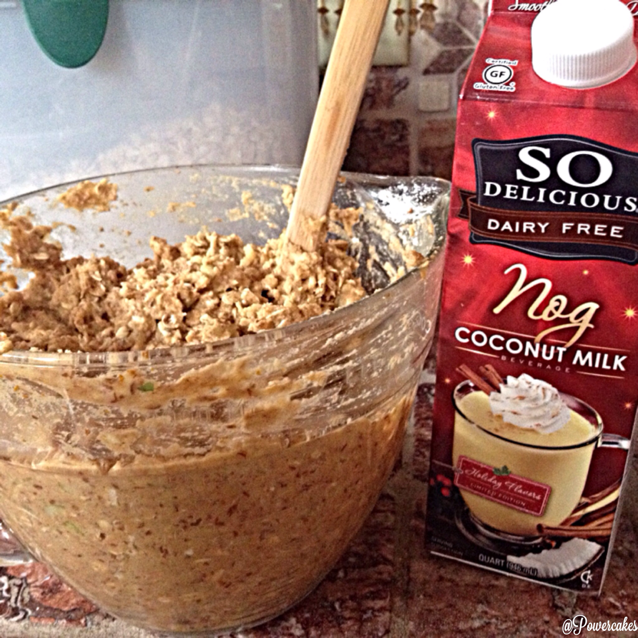 Not only is it great to drink, but also goes great in baked goods for some added nog flavor. 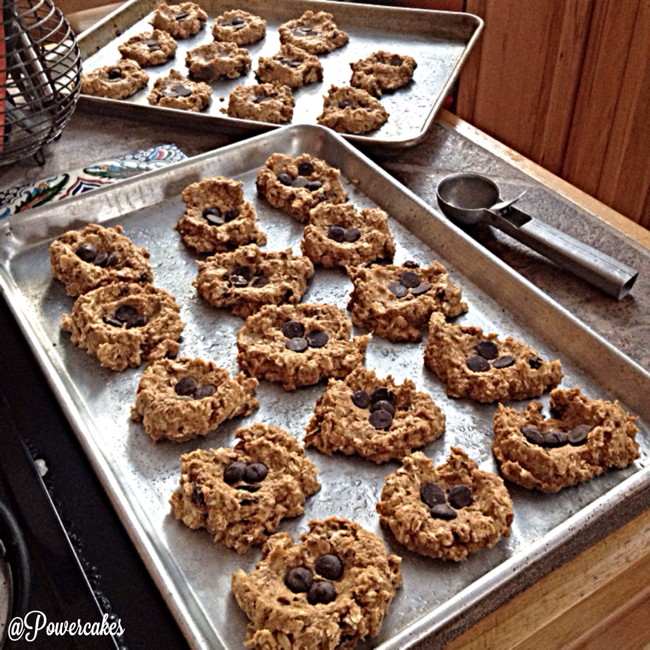 Combining it with some pumpkin, banana, oats, & chocolate was kind of a wonderful idea – DELISH! 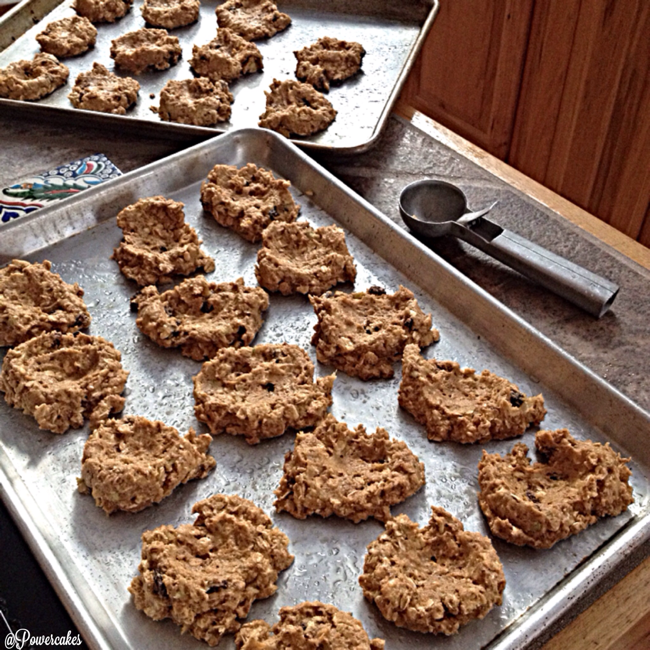 Makes about 14-16 medium sized cookies or over 20 small cookies. – A few drop of liquid stevia or 1-2 TB sweetener of choice. *add some almond milk or coconut milk of choice if the batter is too dry. You want to keep the batter thick. 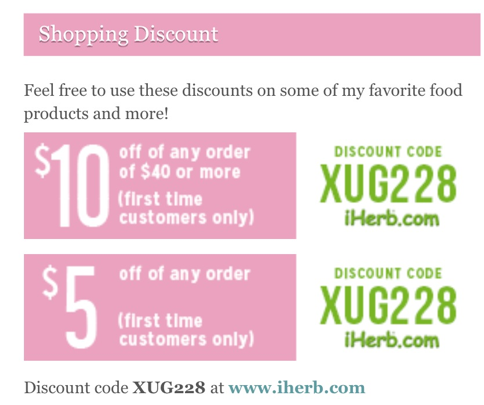 For some of my favorite ingredients you can get a discount on iHerb.com with coupon code XUG228! – Once mixed well, let sit for a few minutes & it will thicken up! Then scoop onto a sprayed or parchment covered cookie sheet. * I used an icecream scoop to make the cookies even in shape then pressed the cookie down with the back of the scoop to make a small indentation. – At this point you can add some chocolate chips on top! *Bake at 400 for about 15 minutes or until firm. – Let cool & ENJOY! 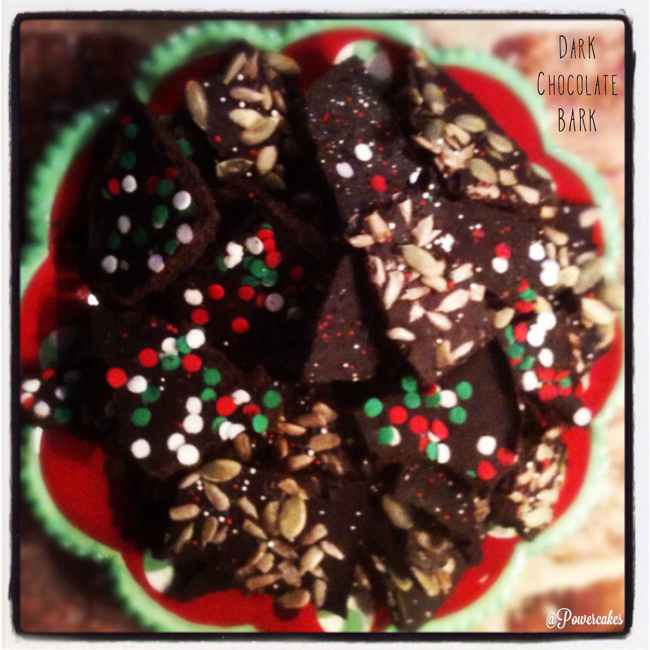 For Thursday I’m throwing back to a recipe from last year where I made Dark Chocolate Bark for Christmas Gifts for my family. I love creating recipes with the seasons! It’s a fun way to get creative & use all types of ingredients. Every year I make my family some kind of baked goods – my Pap especially looks forward to the cookies! ;] This year I may make some powercakes & package them up! 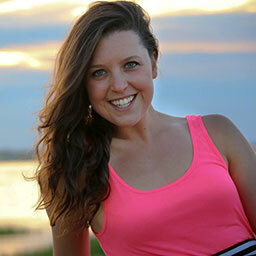 Don’t forget to enter the Under Armour IWILL challenge giveaway! omg that egg nog is SO addicting. Another ingredient we are deprived of here is definitely egg nog, a shame as these look yum! My son and husband love egg nog so this is a recipe to make for sure. Can u tell me the calories fat and sugar content. I like to know these things so I can tweak it if need be. Thanks! Except for the Nog Coconut Milk I have all the ingredients! Adding the Nog to my shopping list. recognizing that the American AT&amp – T is the only carrier for the mobile phone. enthuses about i – Phone Unlock: “Many thanks for your support. well I definitely need the eggnog so I can make your cookies. I’d love to try any of the frozen items too. Thanks Kasey and thank you SO Delicious.